Shari Kinninger started Scrubby Dutch Cleaning in 1983 as a one-woman operation. Her individual experience in house cleaning services in St. Louis, Missouri motivated Shari to utilize her knowledge and passion for maid service and hospitality, and begin her own residential cleaning company. Her family-style approach is extremely successful, adding a unique personal quality to maid service. 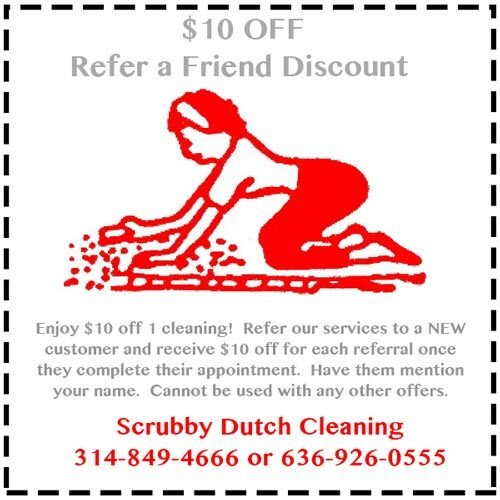 Even throughout her company’s expansion, Scrubby Dutch remains a family owned and operated business, providing a personal and customized cleaning approach. Shari’s employees are extremely loyal. Some started as Shari’s assistants to keep up the demands of the house cleaning service, and others are family that believe deeply in the companies’ unified philosophy regarding consistency and attention to detail. We are so thankful for receiving the following prestigious acknowledgments. Thanks to our loyal customers and hard-working Scrubby Dutch cleaning team, we have won Best Maid Service for four straight years. Shari’s St. Louis home cleaning company, Scrubby Dutch, is a labor of love. Her passion for helping others is infectious. In fact, many of her current employees respect Shari’s leadership and cleaning expertise so much that they’ve worked with her for years, providing loyal service and committed work ethic. Shari and her cleaning crew feel the same about their clients. Scrubby Dutch’s high retention rate and positive reviews is a direct reflection of their heart and dedication.